Nothing is a better testament to the 45 ACP’s staying power -- and, for that matter, its stopping power -- than the fact that it has now been utilized in combat for over one century. If you favor the powerful M1911 for home defense or personal protection, then training with it ought to be a blast and not a strain on your bank account. 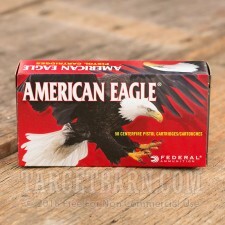 That’s where Federal’s American Eagle line of ammunition comes in. 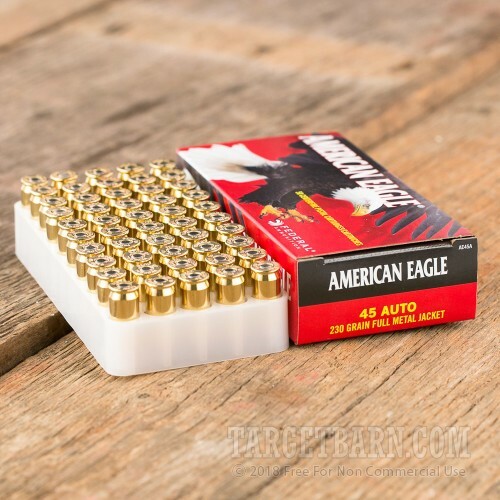 Even though it offers reloadable brass casings, clean burning propellant, and sensitive proprietary primers, it’s still remarkably affordable so you can keep going at the range for as long as you need to! 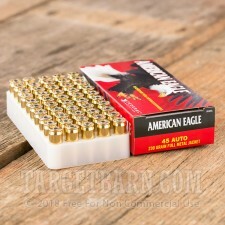 This 45 ACP cartridge sports a 230 grain projectile, the original weight for its caliber. The bullet’s full metal jacket means you can fire a great many of them before copper fouling necessitates a bore snaking, so you won’t have to clean your firearm at the range just to maintain its accuracy. 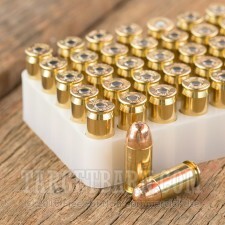 This round feeds reliably in a semi-automatic, and is certain to penetrate even the more resilient targets commonly used for plinking. With its cost-effectiveness and versatility, you can’t go wrong with an American Eagle!